On average it costs just £1,000 – £1,200 to support a family for an entire year. We use volunteers to support families, which is our unique way of helping. It also keeps overheads down. We can prevent family breakdown and crisis which may involve costly, statutory services. You can support us by making us your charity you support with your Co op membership. If you go online and log into your membership or become a member you can search for the chosen charities within a 15 miles radius of your home address. Then when you shop at any co op outlet 1% will be coming to Home Start High Peak. Please help support Home Start High Peak by shopping online. 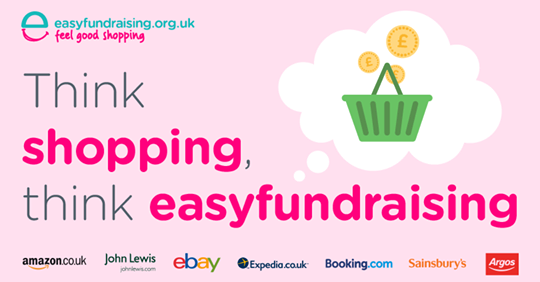 Every time you shop, you’ll raise a free donation for Home Start High Peak every time, it’s that easy! Text HSHP14 and the amount you’d like to give to 70070. For example, texting HSHP14 £10 will donate £10 to Home-Start High Peak. The only cost is the amount you donate. This will be added to your mobile phone bill, if you do not have enough credit on a pay as you go phone, the donation will not be processed. You will not be charged for the text by your mobile phone provider. You will receive a thank you message where you can gift aid your donation. This gives Home-Start High Peak an extra 25% at no cost to you. Are you celebrating a special occasion or looking for an unusual present for someone who is difficult to buy for? Perhaps a donation to Home-Start High Peak would make the perfect gift? When Home-Start UK volunteer Diane married Steve, they decided to ask family and friends for donations to Home-Start instead of presents. You could ask your guests to donate via text, cheque or a collection box. If you share our belief that children deserve the best start in life please consider remembering Home-Start in your will. Naturally, when you write your will, you will want to take care of your loved ones first. But if your estate has extra funds, you may wish to consider including a gift to Home-Start. Home-Start UK recommends that you seek appropriate professional advice when writing or updating your will, ideally from a solicitor.